Many of us in this parish came from Evangelical, Baptist, Presbyterian, Lutheran, Anglican, Episcopalian, Charismatic, Pentecostal and other Christian backgrounds. The thing many of us shared was a longing for a deeper sense of wonder in worship and faith. Many of us longed to discover the true faith. of the early Church and discovered it in the Holy Tradition of the Eastern Orthodox Church (“the original Christian Church”). Following are some facts that may help you on your visit. Saint Barnabas Orthodox Church is a local parish within the Antiochian Orthodox Christian Archdiocese of North America. The North American Antiochian Archdiocese is currently comprised of over 300 parishes in the U.S. and Canada, with our Archbishop in the New York City area. It is historically and spiritually connected to the ancient See of Antioch, one of the five historical centers of ancient Christendom (along with Rome, Constantinople, Jerusalem and Alexandria). You may recall the text in Acts 11:26, “And the disciples were first called Christians in Antioch.” The Antiochian Patriarchate traces its historic roots all the way back to this pre-New Testament church founded by St. Paul himself. In fact, the Patriarchate still sits on a “street called Straight” (Acts: 9:11). The “headquarters” of the ancient Christian faith was in fact not Rome but in the Eastern world. The apostles founded forty-four Local Churches in the East (and only two in the West). It was from the East (not from Rome) that the apostles and Paul were sent out with the Gospel. The West was not a center of the early Christian movement – it was the “mission field”. For over 1,000 years, with the exception of Rome, all the major centers of Christian belief were found in the East – in Jerusalem, Alexandria, Antioch and Constantinople. The Roman Catholic Church tragically broke away from the Eastern churches in 1054 A.D. largely over the issue of the encroaching authority of the Roman Pope by the western church. The eastern churches consistently rejected this encroachment for 1,000 years of Christian history. The Orthodox Church does not have a single leader. It is organized into “jurisdictions” following national and historic lines, based on the early Church model of conciliar church leadership (meeting in councils or synods) seen in the Book of Acts. Each group is governed by synods (councils of bishops) who have equal authority and who do not interfere in one another’s affairs. The Patriarch of Constantinople is known as the “Ecumenical” (or universal) Patriarch, and since the schism has enjoyed a position of special honor among the Orthodox communities. But, he does not have the right, for example, to interfere in the internal affairs of other Churches. His position resembles that of the Archbishop of Canterbury in the worldwide Anglican Communion. Our entire hope is Jesus Christ. As the Apostle Paul says: “…by the commandment of God our Savior, and the Lord Jesus Christ, our hope,” (1 Tim. 1:1). We do not worship images. Wall icons and artwork appeared in Jewish temples early in ancient history (note: Duros Europos Temple destroyed in the mid 200’s) even before their use in Christian churches. Because the Son of God took on human flesh and became incarnate as man in Jesus Christ, the Church decreed (not without much debate!) it was appropriate to portray the glory of God incarnate visually through icons. Icons are not idols or graven images (which depicted images of false gods), and their place in Christian worship and piety was clearly articulated, defended and approved at the Seventh Ecumenical Council of the Church in the 8th Century. Byzantine icon style may seem strange at first. They are not meant to depict the natural beauty of the material world, but rather the spiritual beauty of the Kingdom of Heaven and its inhabitants (Saints). Icons are venerated, but not worshipped, by Orthodox Christians. This is a misunderstanding by some in modern Christendom, especially those who have been influenced by Puritan and Anabaptist traditions, and the Muslim tradition, which rejects any and all images. In our services and in our piety we praise those who were with Christ on earth and whom we know to be “alive” in Christ’s presence now, although departed from the body (the saints)! Hebrews 12:1 writes,“…we are surrounded by so great a cloud of witnesses…” In God and His Church there is no division between the living and the departed. As we pray for one another and ask for one another’s prayers, so we ask the faithful departed to pray for us and we continue to pray for them out of love. Orthodox interpret the “call no man father” passage (Matthew 23:9) specifically in the context of our Lord contending with certain rabbis of His day who were using these honorific titles to accomplish their own selfish, prideful and hypocritical ends. he continues: "Nor are you to be called instructors, for you have one Instructor, the Messiah." (Matthew 23:9). Had these same apostate rabbis been using other titles, like “reverend” and “pastor,” Jesus might as easily have said, “Call no man reverend or pastor.” His condemnation was not of the use of “father” (or any specific title) but of the hypocrisy and pride of the Pharisees and rabbis in their use of it. St. Paul wrote in 1 Corinthians 4:15. “For though you might have ten thousand instructors in Christ, yet you do not have many fathers…” St. Paul seems to claim to be the ‘Spiritual Father’ of the Corinthians, “begotten…through the gospel” St. Paul, an Apostle of Christ Jesus obviously did not interpret our Lord’s words to mean that only our Heavenly Father can be called “father”. In Luke 16:24 Jesus also tells us that the rich man cries out “Father Abraham, have mercy on me…” Abraham did not correct or criticize the rich man by saying, “call no man father”! Are we saying that the Apostle ignored Jesus? Are we saying our Lord Jesus Christ contradicted Himself and violated his own statements? We think not. Rather the passage must be understood in its specific context of condemning hypocrisy, self-aggrandizement and pride, rather than a universal condemnation of the use of “father”. Otherwise, if we took this verse literally, we would not call our earthly fathers “father”. The faith-works divide in the Protestant west reflects a decisive change in Christian theology that was largely a reaction against the use of “indulgences” by the Roman Catholic Church and their proper rejection by Martin Luther and the Reformers. The Orthodox Church believes the Reformers’ theology went too far however by driving a wedge between faith and works. The faith-works dichotomy does not exist biblically, or in the eastern Christian spiritual tradition. We are clearly called to have faith in God by our Apostles: “Have faith in God” (Mark 11:22). But we are also exhorted to“work out your own salvation with fear and trembling” (Phil. 2:12). And we are finally reminded that “…faith by itself, if it does not have works, is dead” (James 2:17). Perhaps the most sobering warning comes from Saint Paul who warns us of “the righteous judgment of God, who “will render to each one according to his deeds” (Rom. 2: 5-6). Orthodox theology and spirituality therefore emphasize a balance between faith and works. That we might have remedies for removing our sins, focus our lives on Christ and partake in His Divine Nature. Baptism. Anointing with Chrism. The Holy Eucharist. The Priesthood (both spiritual and sacramental). Penance - confession. Holy Matrimony. Healing consecration with oil. Free will is man’s unrestricted ability to decide from reason, which leads to doing good and evil. This reason was complete in its perfection during the state of man’s innocence (before the Fall), but became damaged on account of sin. However, although the will remained inclined to evil (after the Fall) it is still nevertheless able to choose to do good. And in the Gospel of St John: “’But as many as received Him, to them He gave the right to become children of God…”‘ (John 1:12). If this were not the case (use of free will) it would not be possible for St Paul to write of “the righteous judgment of God, who ‘will render to each one according to his deeds.’” (Rom. 2: 5-6). Orthodox Christianity and the early Church teaches that the Lord will come once and for all (Matthew 25: 31). On that day everyone will receive eternal and perfect payment for their deeds. There is no pre/post/mid-tribulation “rapture” before the Second Coming in the Holy Scriptures. The "rapture is not taught by any church fathers. These heterodox teachings supposedly came through a dream someone had in the 18th century and was subsequently promulgated by the Scofield Bible translators and adopted by certain Evangelical groups later (wiki). No. Our Scripture makes no mention of the fact that there is a temporal punishment that cleanses souls after death. In fact, the opinion of Origen was condemned because of this by the Church at the second Council of Constantinople. The soul can receive no Holy Mysteries after death; and if it were to make satisfaction for its sins, it would have to perform a part of the sacrament of Holy Penance, which would be contrary to the orthodox teaching. St. Luke the Confessor (Archbishop of Simferopol and Crimea) has a fascinating word about equality and afterlife. - Why is the Least in the Kingdom Greater than John the Baptist? There is no prohibition to pray for the departed that we can find in the Bible or Tradition. Why do Orthodox pray to deaparted Saints? The Gospel accounts of the Transfiguration (Matthew 17:1-9; Mark 9:2-10; Luke 9:28-36), which demonstrate clearly that the faithful departed continue to live, act, reason, speak -- by the fact that Moses and Elijah appeared and spoke with Jesus there. When particularly dedicated Christians consistently demonstrate throughout their lives a great love for Christ and their fellow-man, and when they live and die in unusually vibrant hope and joy in Him, they are remembered with special fervor by their fellow Christians left behind on earth. Accounts of their good deeds, their wise words, and very often, miraculous events associated with their lives, are spread by word of mouth. Miracles often occur at the graves of such individuals. An excellent biblical account of such an occurrence can be found in 2 Kings 13:20, 21. Here, a man was raised to life merely by coming into contact with the bones of Elisha. In addition, miracles often occur in respect to the earthly possessions of the saints. We are told in the New Testament that even Saint Paul's handkerchiefs became instruments of God's healing (Acts 19:11,12). The Orthodox Church is the original and historical church established by Jesus and His Apostles. Many Americans are looking for a sense of living continuity with the Church of ancient times. A stable faith rooted in apostolic tradition, apostolic succession, and the Bible! In fact this Church, which Jesus Christ Himself said would “prevail against the gates of Hades”, has in fact continued in unbroken succession, through the transmission of her faith and the succession of her bishops, from the day of Pentecost to the present. 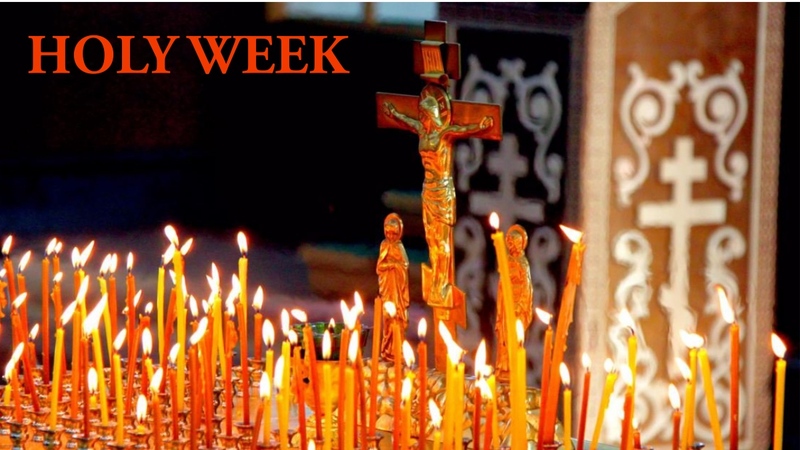 The Orthodox Church has survived steadfastly despite persecution and martyrdom and has never accepted any kind of change or innovation which contradicts earlier established doctrine, reached in consensus with the universal Church and led by the Holy Spirit. Her doctrines were clarified (and consequently, certain heresies were defined) at seven ecumenical councils held between the 4th and the 8th centuries. If you are looking for the “one, holy, catholic and apostolic church” of the Nicene-Constantinopolitan Creed, you found her! It is the Orthodox Church!